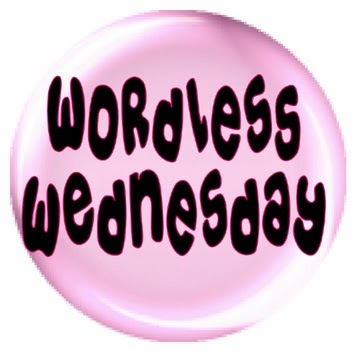 This entry was posted in Blog Hops, Wordless Wednesday and tagged #WW, Comedy Plus Wordless Wednesday, Sammy, Wordless Wednesday by pilch92. Bookmark the permalink. I’m sorry about the fang but May 9? That’s a long time. Awww…poor Sammy. I’m keeping him in my thoughts and prayers. Sammy, I hope your nose heals without any more attention from the vet. And paws crossed your dental visit goes smoothly. I hope that bump is nothing. I’m sending purrs to Sammy. You’re right about Sammy’s bump – can’t really see in the photo but we know that YOU know his nose better than HE does…..perhaps the whapping has caused it to swell a little. OR as the vet said, maybe something happening there due to his bad tooth. Hopefully it will get better though and his nose will go back to being ADORABLE instead of swollen! I hope by the time May 9th comes around that the bump will have disappeared. I am sending good thoughts for you. That is a very long time to have to wait! Sending you lots of good thoughts to you Sammy. Hopefully it is nothing. Sammy, a whapping from KaTwo that caused the bump would be much better than some of the things that we let come in our heads. We worry about you. Something tooth related sounds plausible. May 9th is a long time to wait for your Mom, I know she is worried. Fingers still crossed and prayers that it resolves on its own. Purrs sweet Sammy, we hope that bump is nothing at all. Sounds tooth related and I hope it’s an easy fix. Poor baby. How very odd. I sure hope it turns out to be nothing. Aww! I hope Sammy get’s sorted as soon as possible, saying that May is a long time to wait arrgh! Sending purrs and blessing for sweet Sammy! Daisy Mae and I will be praying and sending you and him lots of purrs too. We hope Ka Two does take it easy with Sammy. Get Well Soon. I’m sorry the vet couldn’t figure out clearly. I hope the bump is nothing serious and will just go away. Poor Sammy. Hope the bump is gone before his next appointment. poor little guy–hope it isn’t causing too much discomfort for the little sweetie! Thank you. It doesn’t seem to bother him. Purrs and Prayers to sweet Sammy – hoping all will be well. Aww, geez louise, Sammy! Let’s hope it’s all a nothingburger! That’s a bummer. Mom doesn’t like it when there isn’t a good answer. Did you think about getting a second opinion? That is a long wait for the dental. All paws crossed for Sammy. Thank you. I think I would have the same issue that he needs to be sedated for the x-ray and needle aspirate. We hope the bump goes away on it’s own!! We sure hope that bump just goes away so you don’t have to continue to worry about it. May 9th is a long ways away! We send purrs to Sammy and hope that bump is nothing. Poor boy! We hope everything resolves itself. In the meantime, we’ll keep you in our purrs. Poor Sammy. I do hope he’s okay. Sounds like he’ll have to go through quite a lot of testing and procedures. My 10 fur babies are wishing him the best! Happy Hump Day! Here’s hoping it just a bit of swelling from a bad tooth, that when the tooth is taken care of, the swelling is, too. Thank you. I hope that too. We are sending POTP to our friend Sammy and hope the fang clears it up. Uh oh, I hope Sammy doesn’t need his tooth pulled! I’ve had two broken fangs, but Mom keeps and eye on them to watch for infection. I’m hoping I never ever have to lose them. Crossing my paws that Sammy’s tooth and nose bump heal. Purr purr purr. Hopefully it’s gone before his dental! I’m sorry I’m so late on commenting again. We are sending many, many purrs and prayers to Sammy! I hope this all gets resolved and that after the dental (all the way in May, my goodness! ), his teeth and lump are all cleared up. Our furbabies sure do know how to make us worry. Purrs and prayers! Sending purrs and pawyers and thanks for yours on Pipo’s behalf.